1972 - Retrospective Exhibition: Art Gallery, University of Maryland. 1968 - Soulages creates a ceramic mural for the "One Oliver Plaza" in Pittsburgh. 1963 - The artist creates two Aubusson tapestries. 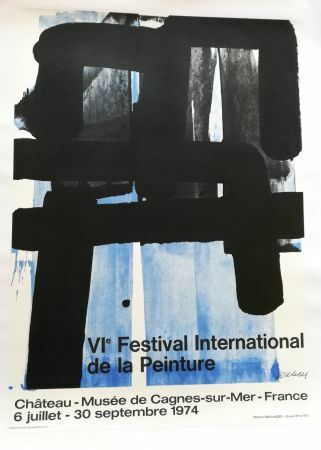 1959 - Pierre Soulages wins the Grand Prize at the Ljubljana Biennial Exhibition. 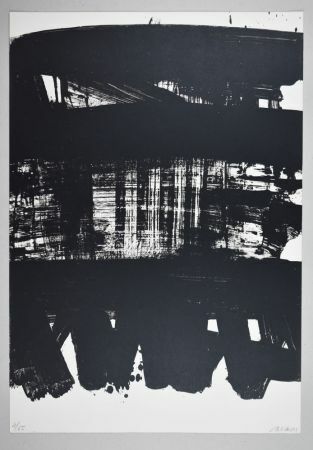 1957 - Soulages receives the Grand Prize at the Tokyo Biennial Exhibition. He creates several engravings and lithographs. 1956 - Pierre Soulages enters the Gallery of France. 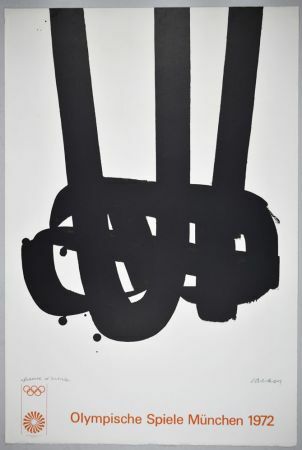 1953 - The Guggenheim Museum acquires one of Pierre Soulages’s canvasses. The following year, the Tate Gallery purchases one also. 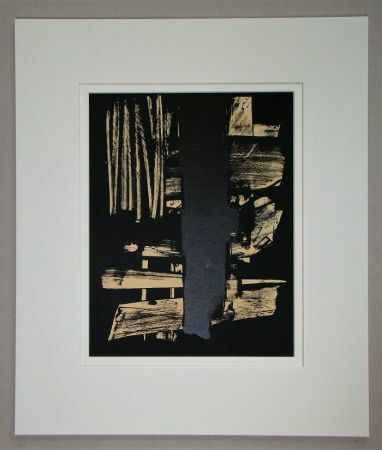 1951 - Pierre Soulages enters the Louis Carré Gallery. 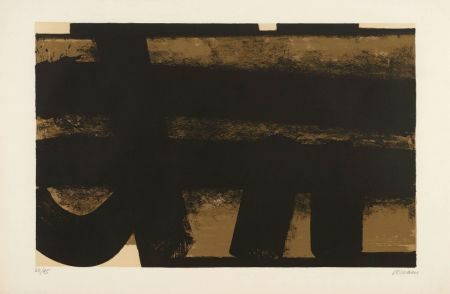 1949 - Roger Vailland asks Soulages to create the set designs for his play which is entitled "Héloïse and Abelard" and which takes place in Paris. 1948 - Soulages exhibits at the Salon of New Realities. 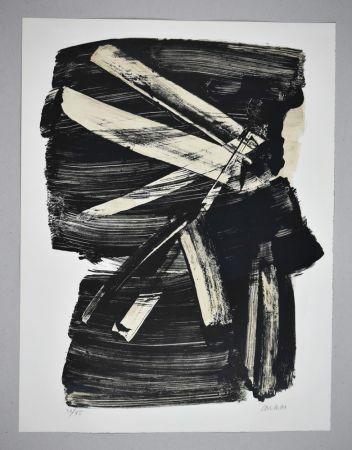 1946 - Pierre Soulages dedicates himself to painting, but many Salons refuse to display his work. 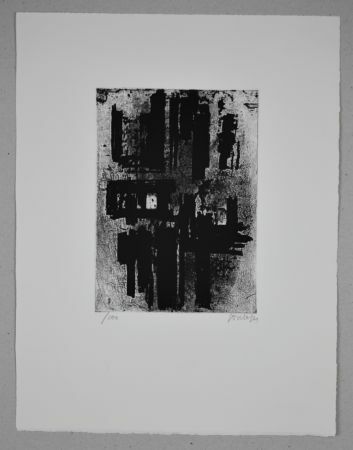 1919 - Pierre Soulages is born in Rodez, Southern France. 1949 - Gallery Lydia Conti, Paris, France. 1952 - Gallery Stangl, Munich, Germany. 1956 - Kootz Gallery, New-York, USA. 1963 - Gallery de France, Paris, France. 1967 - Museum of Modern Art, Paris, France. 1976 - Museum de Arte Moderna, Rio de Janeiro, Brazil. 1979 - Centre Georges Pompidou, Paris, France. 1984 - The Seibu Museum of Art, Tokyo, Japan. 1987 - Gallery Rieder, Münich, Germany. 1988 - National Gallery, Reykjavik, Iceland. 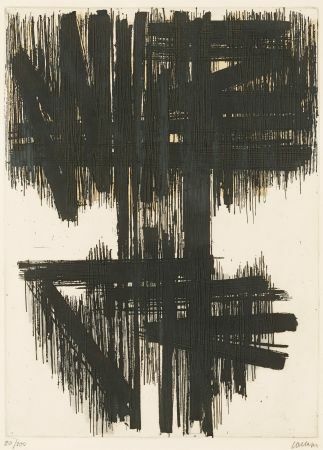 1957 - "Soulages" by Hubert Juin, Ed. Georges Fall. 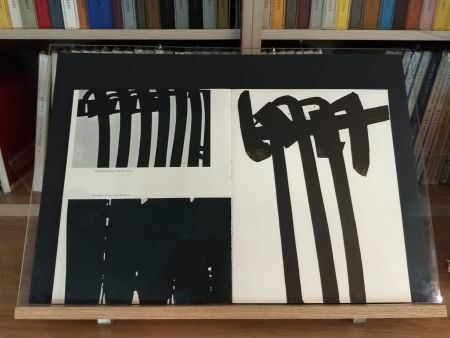 1962 - "Soulages, paintings on paper" from Michel Ragon, Ed. Hazan. 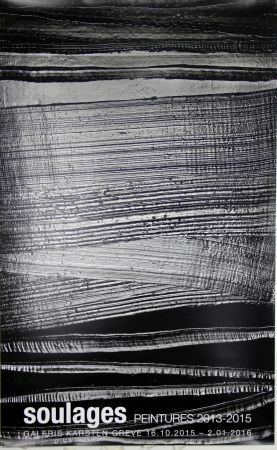 1972 - "Soulages" by J.J. Sweeney, Ed. Ides et Calendes. 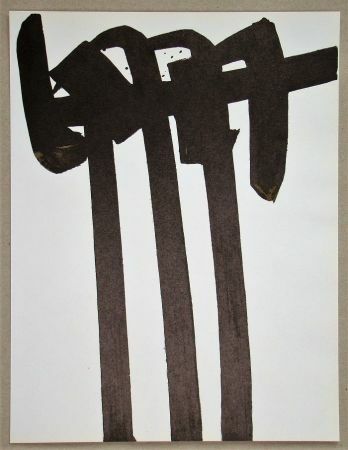 1979 - "Pierre Soulages" by Bernard Ceysson, Ed. Flammarion. 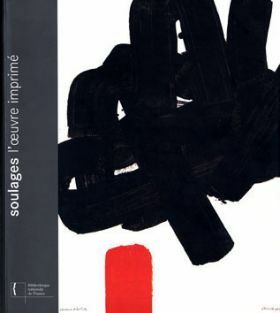 1983 - "Soulages" by Pierre Daix, Ed. Ides et Calendes. 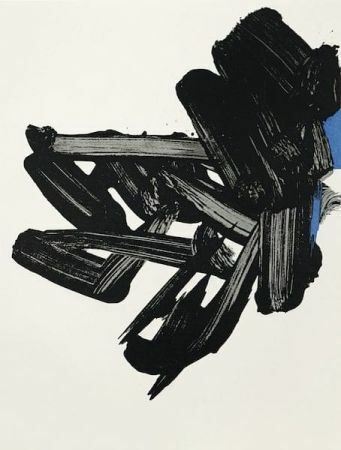 "Soulages, l'oeuvre imprimé". 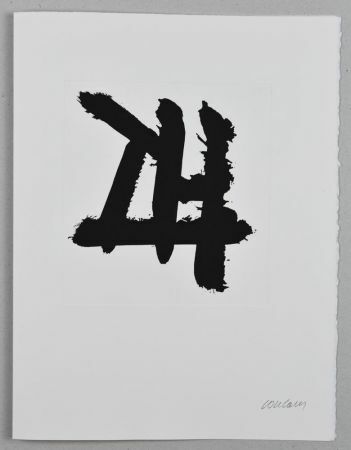 Catalogue made by Pierre Encrevé, it reproduce and describe all the original prints by Soulages, about 120 prints only. B.N.F. publisher.